Tom Lyle driving his brand new Paige Detroit, with his sister Mabel and his father TJ in the back seat. 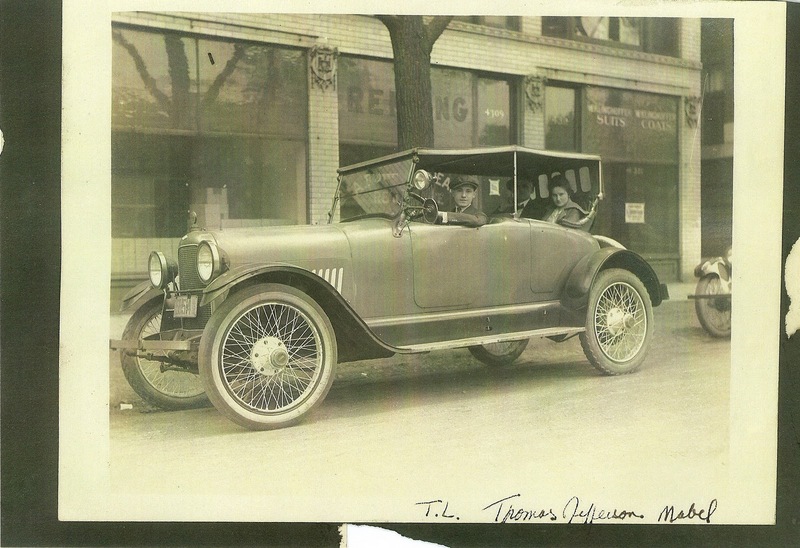 They are parked in front of the first Maybelline office-warehouse in Chicago, 1916. The family lived upstairs in an apartment and worked down stairs packing and shipping Lash-Brow-Ine, than Maybelline through mail order. The Williams Family, Preston, Mabel, Tom Lyle, Tom Lyle Jr., Bennie (Tom Lyle Jr's mother,) Frances and her sister Ellie. 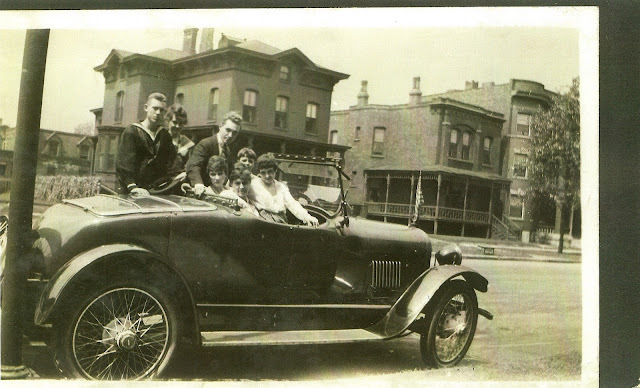 Chicago, 1916 in Tom Lyle's new car, The Paige Detroit. Check out a video of author Sharrie Williams and her cousin Chuck Williams discussing Tom Lyle on his 115th Birthday, (Jan 19, 1996, he died in 1976,) Chuck's grandmother Frances is in the picture, his grandfather Noel took the picture. Read more about Tom Lyle, The Maybelline Company and Family in The Maybelline Story.